In a big city like Delhi, amid the noise, and action, where youngsters are known for having loud sartorial choices, going minimal sometimes turns people's head . White is a timeless colour, and anything that is against it, looks even better. 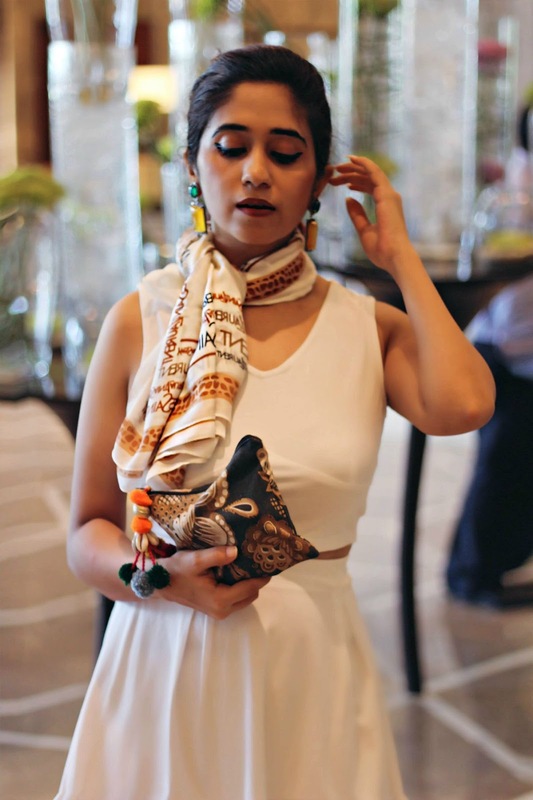 Hence instead of favouring a pure white on white look , (which was the sole purpose of me getting these co-ords ) I instead chose to panoply the cacophonous patterns ,earthy tones on the edge, and evoke a victorian feel. Victorian, coz the scarf and these beautiful semi-precious dazzling earrings. This white outfit was a big blank canvas , and I made it whatever I wanted it to be. The green printed boho clutch , stands out and screams earthy, albeit in a subtle way. I couldn't have thought of a better way to style the pretty tassels. I don't have a perfect lifestyle to keep the colours originally white after a while.Those beautifully laid out buffet tables of JW Marriot,(which after scrolling down below, u may just spot) later spinned the tales of how I spilled watermelon juice on the skirt which earlier was a mellow version of absence of colour , but not really ! As far as I remember, I had always found it safe to keep away from whites, but my little slippage to this optimistic trend gives me a sense of perfection. You look great, I always love a white outfit in the summertime. so glam!! :D love this entire look! 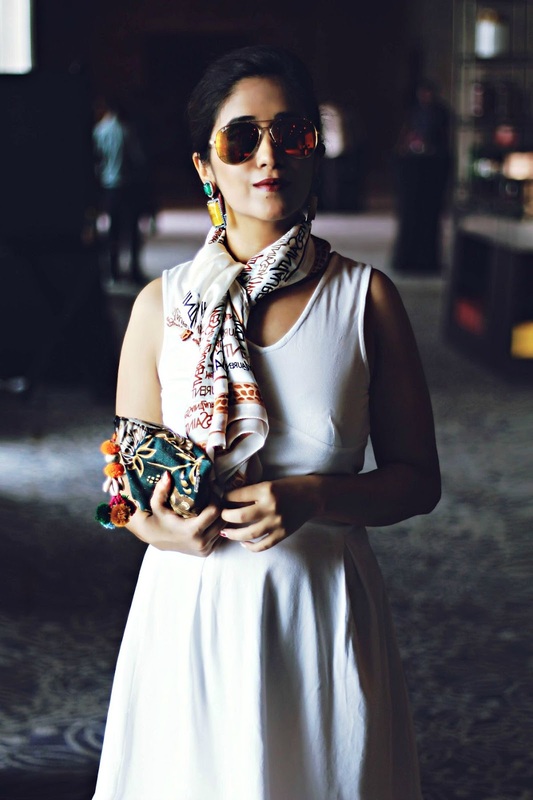 The mix of colors is beautiful in your accessories, and such a pretty dress! Masha Allah....u look like royalty here. I bow down b4 ur style. very classy photos here. I love all of the trendy accessories. Love the skirt and your accessories! Stunning pictures and lovely outfit! the outfit looks so pretty on you :) really nice. Such an elegant look! The accessories are on point! You look perfect! You look HOT! Absolutely obsessed with this "all white everything" look. The two-toned sunnies lend themselves well to matching this fit. 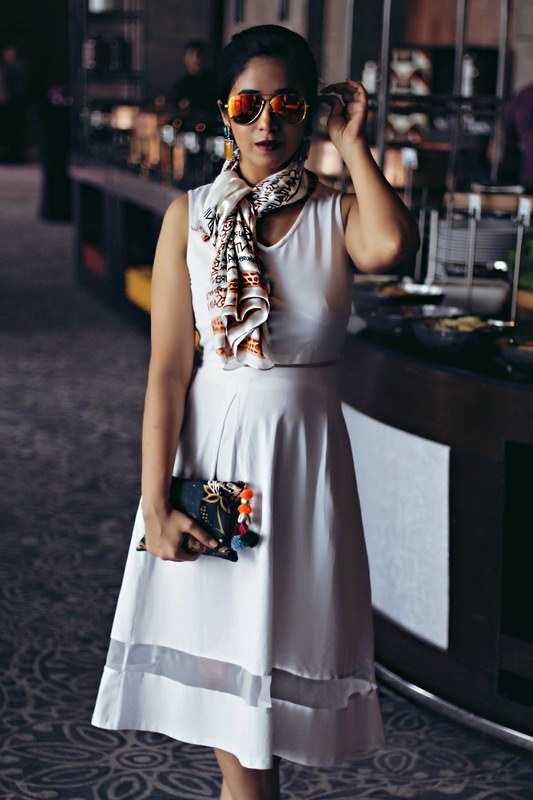 More than the white dress, I think what's head turning is the way you styled this look! Love the way you tied your scarf too. 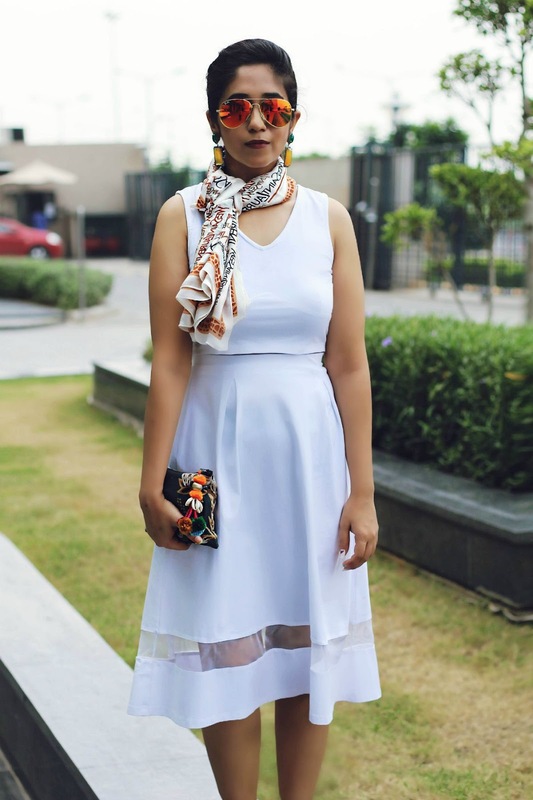 The warm tones add a refreshing twist of color to the white dress. In love with this look just stunning. You look so elegant and gorgeous. Love the chic and simple look! YLG! The earthy tones look great when paired with white. Gorgeous outfit. I love the tan/earthy toned accessories against the white top and skirt. That bit of sheer fabric on the skirt is making it just fabulous! Wow! These pictures could be from a fashion magazine! :) Really chic outfit! dress is the best! New post on www.Just-Kuba.blogspot.com! "INDIANA" Check it out! Love this paired back look. Makes your accessories really pop. You are totally STUNNING, lady! Love your outfit and everything about it! You rock those sunnies! 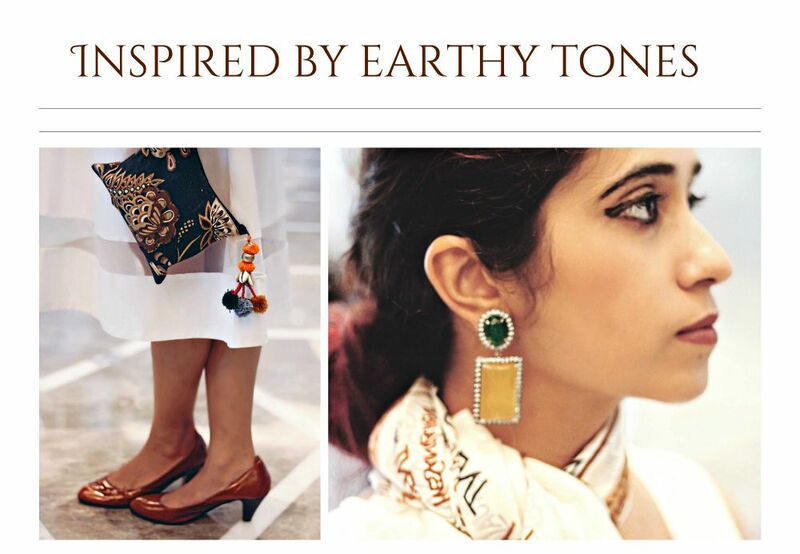 Looks very beautiful your earth tone inspired outfit! You look stunning. 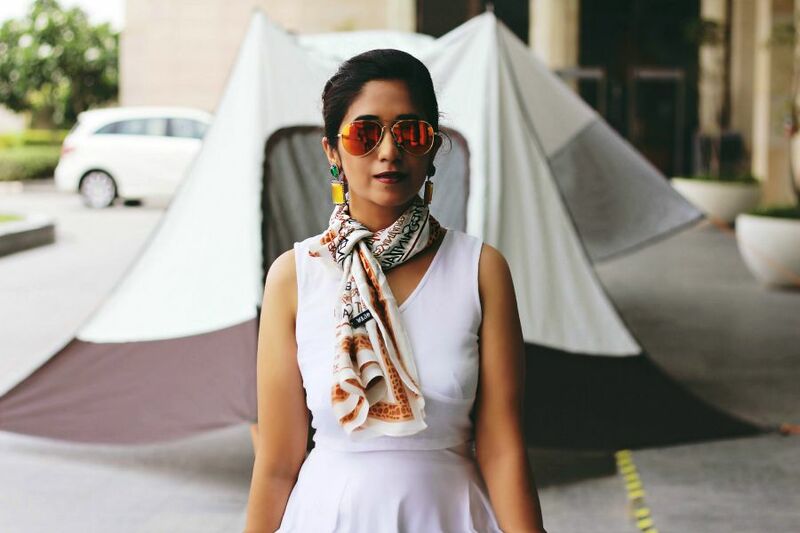 The scarf and your shades are just perfect. Love this sheer part in the bottom!! You look wonderful! Great scarf and earrings! Love them! 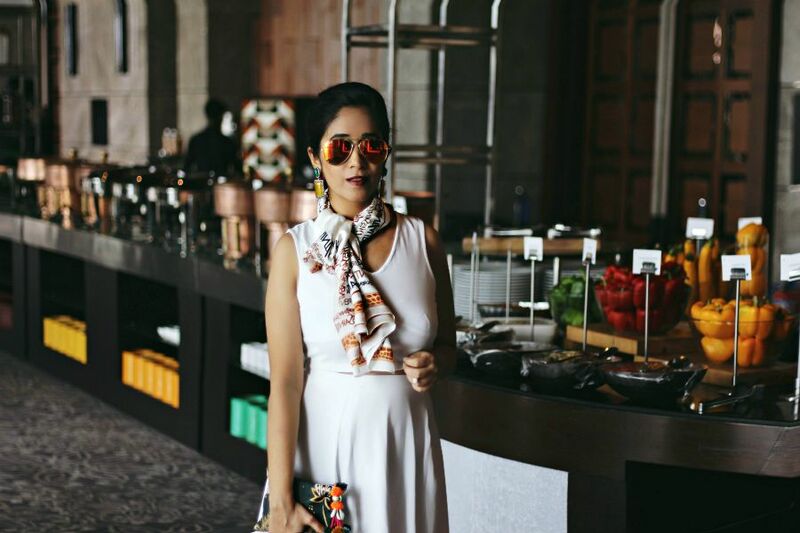 You look adorable, so ladylike and chic with this look, beautiful !!! That is such a pretty dress, I love the length! You look so chic! I love your bag! Love your clutch and skirt, they're so pretty! 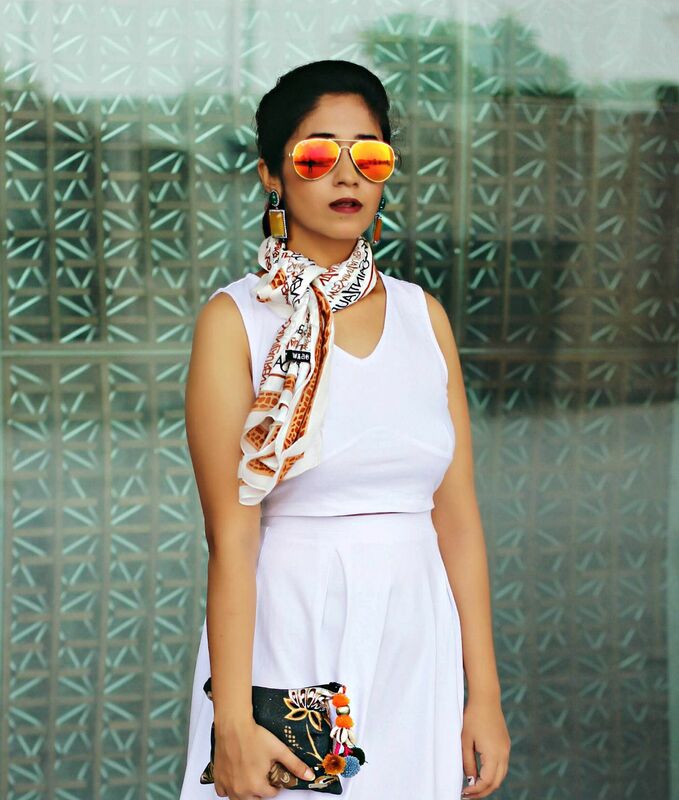 I love how you matched the dress with the mirrored sunglasses because they are perfectly matched with the white tone! 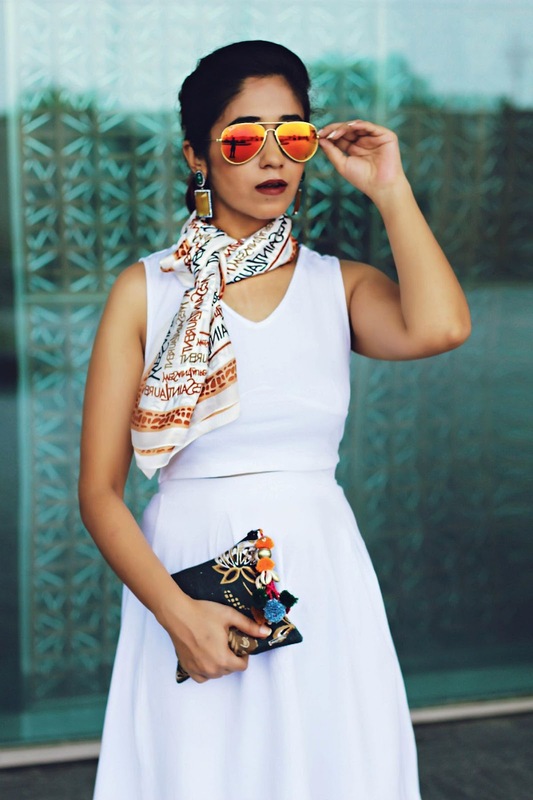 Hi lovely, this is a great look, I really love the sunnies and the scarf.Have a lovely day. This is such an elegant look. 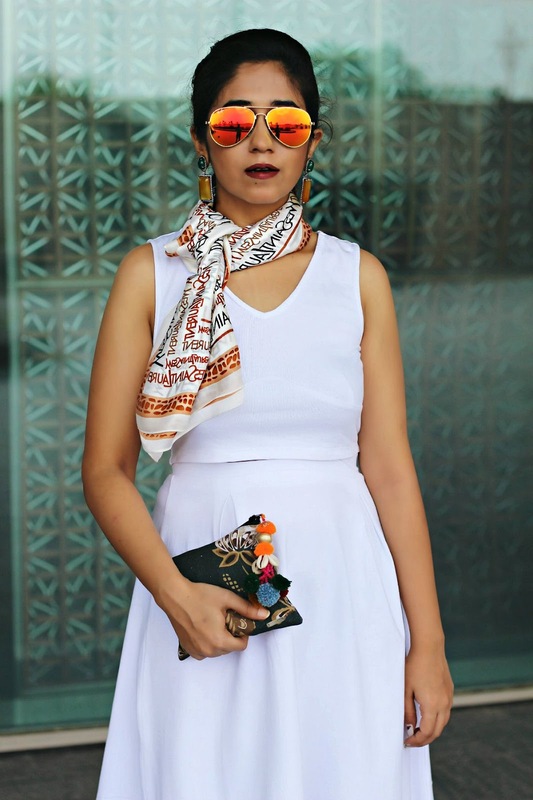 I love the prints on the bag and scarf, they look very stunning on the white outfit. I also wasn't a huge fan of white pieces but of late I can't seem to resist them...I therefore have to learn to keep the spillage minimal. You look completely stunning in white! I love that skirt with the sheer detailing! You are right white can be hard to wear as I swear dirt is attracted to it! LOL! 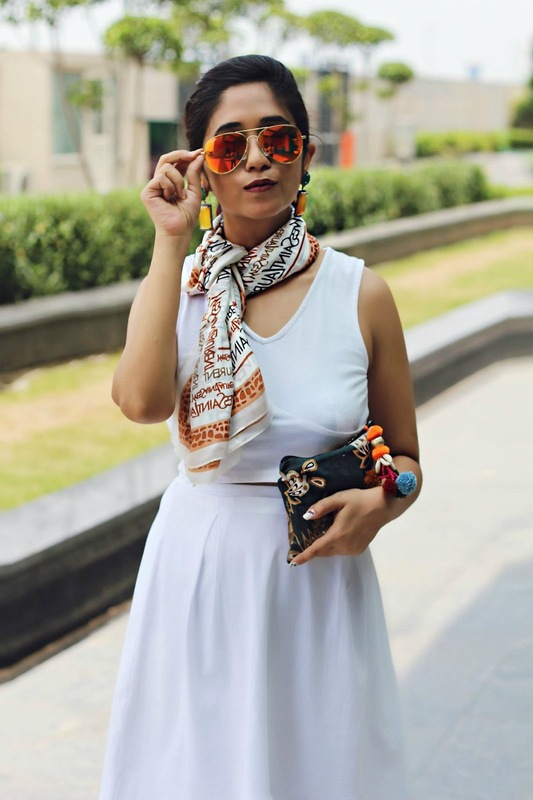 Your accessories are perfect with the look! Very nice - I like the white dress accompanied by these beautiful accessories!